Hello lovelies, I have so much to catch up with you all on but for now here is some more fun toys to talk to you about! We have some Orbeez and some Oonies. 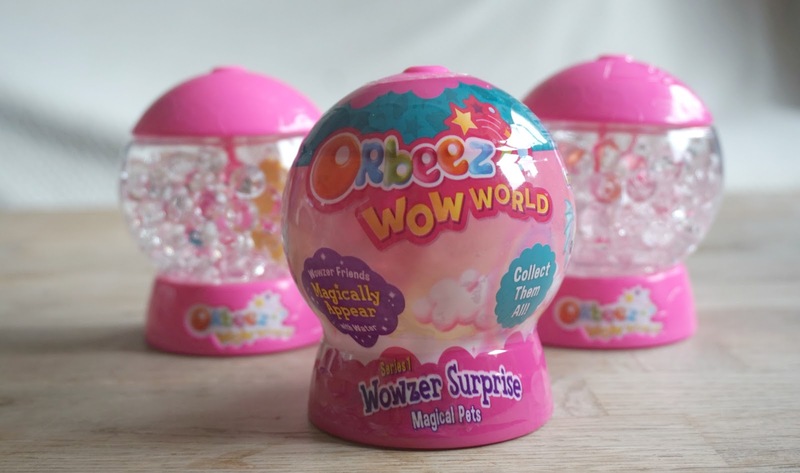 The Orbeez wow world magical pets £5.99 each, you get a surprise magical pet in each container. 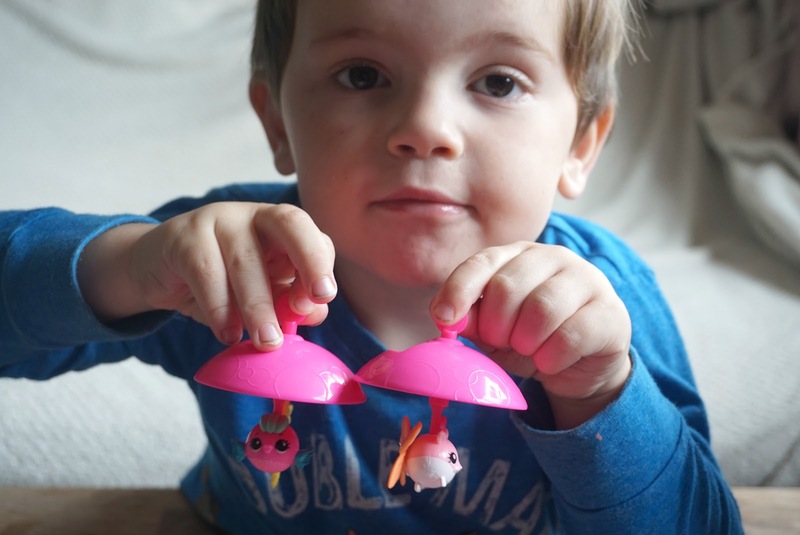 Lawson loved the idea and got excited seeing what pet he was going to get, Lawson is 3 and Oscar is 6, Oscar wasn't as interested in this toy, in his words it was too girly and pink for him. I said boys and girls can both like pink but he said he doesn't like it, he said if it was blue he might enjoy it more, boys hey! 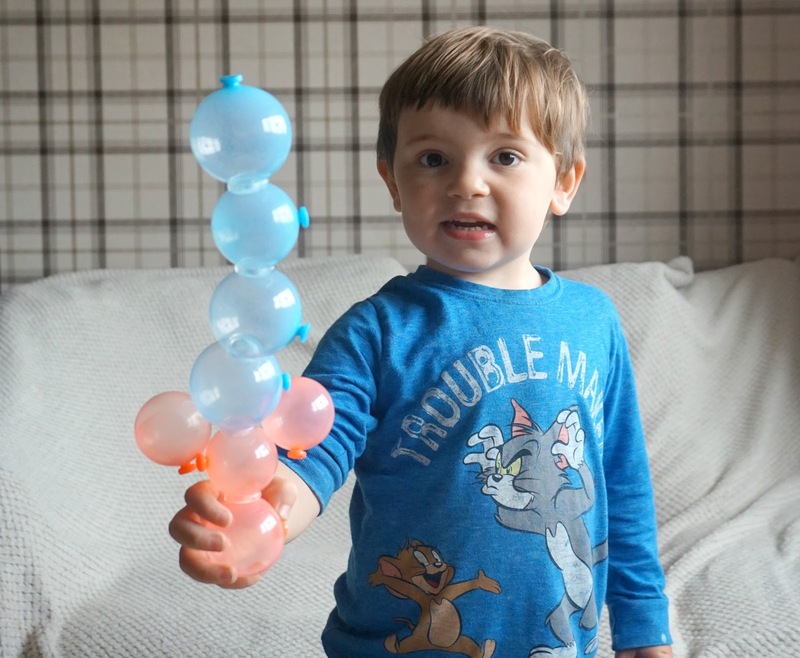 Lawson really enjoyed it though, Oscar did however like the feel of the Orbeez balls and I have thought of other games we can play with those. 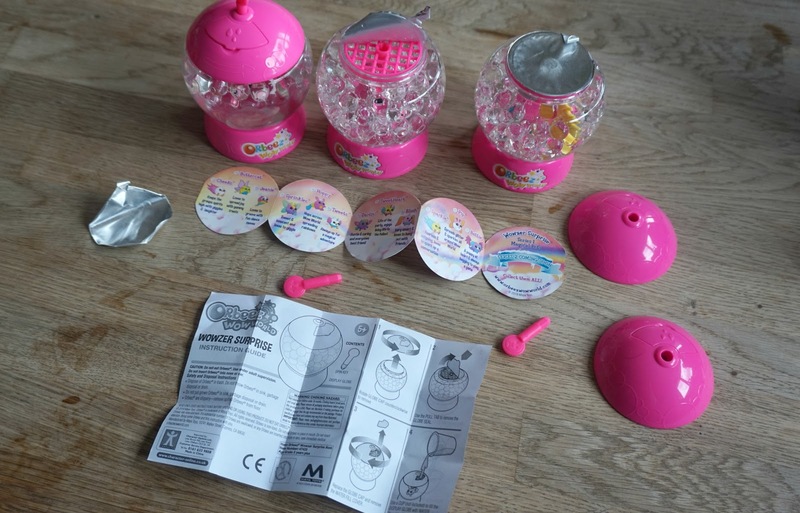 It is very easy to set up, you just pour water in the container, twist the magical pet until it appears int he water and voila, you can then tip the water out and open up the container to see your magical pet a bit more easier as shown below by Lawson. These two were his favourite pets. I think for £5.99 they would make great stocking fillers or a pocket money toy for your children. The Oonies Starter Station Pack £19.99* was a massive hit with both boys though! They thoroughly enjoyed making their own animals and swords. I couldn't get a good photo of Oscar as he was running around with the animal he built but I did manage to get a quick photo of Lawson. I obviously had to help Lawson with him only being 3 and the toy being aimed for 5 year olds. Oscar managed to set it up fairly easily with little guidance from me. You pop your balloon in the chamber, blow it up then add to it what you like, the children can really use their imagination here. 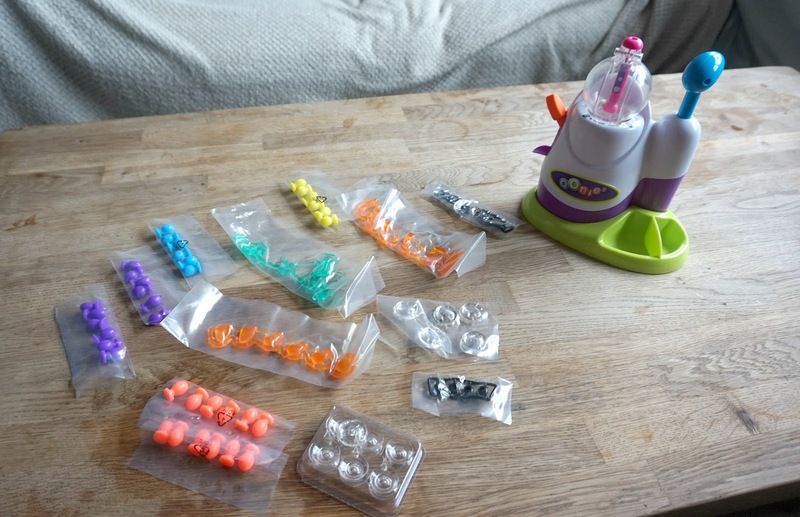 You can stick them together, make towers and play lots of games with them. 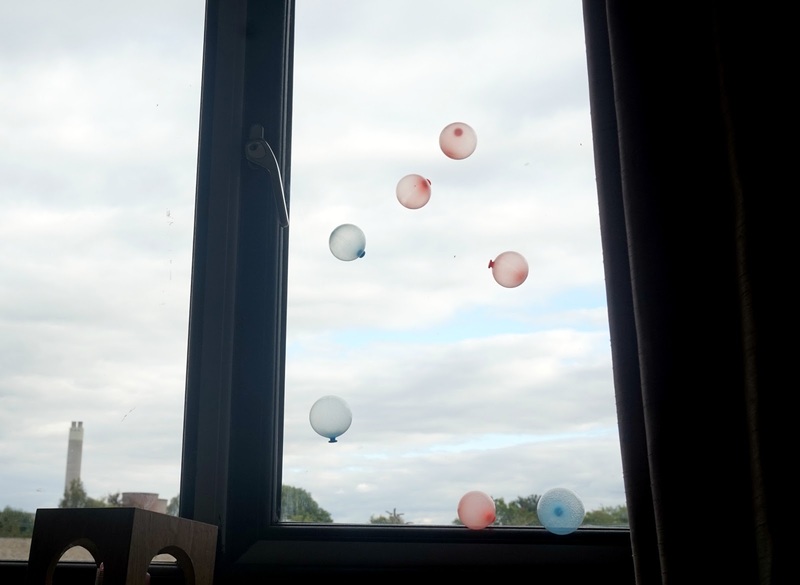 We made up a game on our living room window to see who could get the highest. 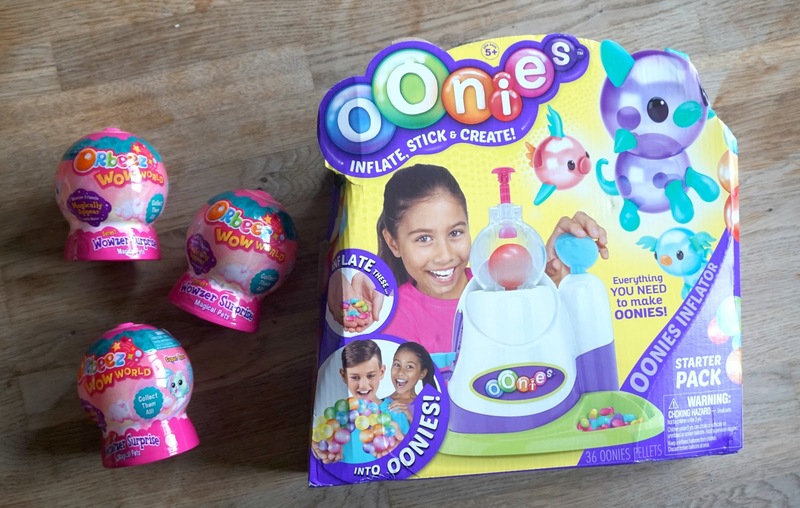 I personally didn't think too much of the orbeez and wouldn't buy one again for my children but the Oonies I would definitely buy more of because they boys played really lovely together and it got them to use their imagination and away from the technology! Its great when you can find something your children enjoy that takes them away from their TV and tablets and you can get involved with and have lots of fun too. I would recommend in popping this on your christmas list.